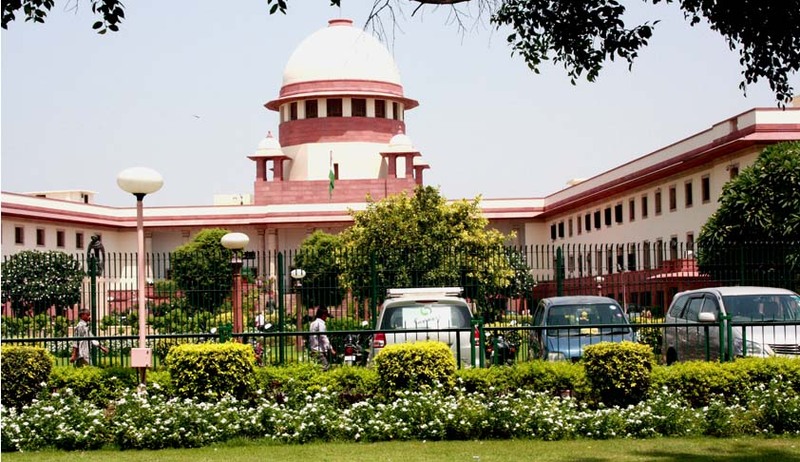 The Supreme Court this month acquitted all six accused in the 2002 Akshardham temple attack in Gujarat. A Bench of Justice A.K. Patnaik and Justice V. Gopala Gowda held that the prosecution was unsuccessful in ascertaining their guilt beyond reasonable doubt hence, justified absolution from all the charges. The convicts, who were sentenced to death earlier, have now claimed compensation, rehabilitation and punishment to officials who falsely implicated them in the case. Addressing a Press Conference, they reportedly demanded adequate compensation from the Gujarat Government and the then Chief Minister, Narendra Modi, for the long periods of confinement that they had to go through. Mohammed Salim, tailor also working in Saudi Arabia, who was acquitted of a 10 year jail term claimed that, "I had been working in Saudi Arabia for 13 years and I was arrested under the pretext of some problem with my passport. The security officers brutally beat me up... fractured my foot. They gave me options on which case I wanted to be charged under- the Akshardham temple terror case, Haren Pandya murder case, or the Godhra train carnage." The report also quoted Jamiat Ulama-e-Maharashtra (AM) legal cell secretary Gulzar Azmi, as asserting that, "Not only should they be booked, they should be prosecuted so that an example is set for all such security officials booking innocent Muslim youth and ruining their lives forever", referring to the security officials who acted illegally against the six acquitted people. The Akshardham temple was attacked on 24th September, 2002 by terrorists, killing 32 people and leaving behind close to 80 people injured, scarred for a lifetime, with the memories of attackers who opened fire and heaved grenades inside the temple complex. Two terrorists were gunned down by the National Security Guards, after a 14-hour catastrophe. The law with regard to compensation to victims of wrongful conviction began with the case of Rudul Sah Vs. State of Bihar & Anr. Y.V. Chandrachud, CJ, speaking for a Bench of three learned Judges of this Court had observed that, "One of the telling ways in which the violation of that right can reasonably be prevented and due compliance with the mandate of Article 21 secured, is to mulct its violators in the payment of monetary compensationt"
Again in Bhim Singh, MLA Vs. State of J & K & Ors., The State was directed to pay monetary compensation to the petitioner who was illegally detained in police custody. This was observed to be a violation of his rights under Article 21 and 22(2) of the Constitution of India. Affirming Rudal Shah’s case, the Bench observed that, "When a person comes to us with the complaint that he has been arrested and imprisoned with mischievous or malicious intent and that his constitutional and legal rights were invaded, the mischief or malice and the invasion may not be washed away or wished away by his being set free. In appropriate cases we have the jurisdiction to compensate the victim by awarding suitable monetary compensation". In Nilabati Behera (Smt) Alias Lalita Behera Vs. State of Orissa & Ors., observed that, “It is this principle which justifies award of monetary compensation for contravention of fundamental rights guaranteed by the Constitution, when that is the only practicable mode of redress available for the contravention made by the State or its servants in the purported exercise of their powers, and enforcement of the fundamental right is claimed by resort to the remedy in public law under the Constitution by recourse to Articles 32 and 226 of the Constitution. This is what was indicated in Rudul Sah and is the basis of the subsequent decisions in which compensation was awarded under Articles 32 and 226 of the Constitution, for contravention of fundamental rights." In the same decision, in his concurring judgment, Dr. A.S. Anand, J. had added that, "The purpose of public law is not only to civilize public power but also to assure the citizen that they live under a legal system which aims to protect their interests and preserve their rights. Therefore, when the court moulds the relief by granting "compensation" in proceedings under Article 32 or 226 of the Constitution seeking enforcement or protection of fundamental rights, it does so under the public law by way of penalising the wrongdoer and fixing the liability for the public wrong on the State which has failed in its public duty to protect the fundamental rights of the citizen. The payment of compensation in such cases is not to be understood, as it is generally understood in a civil action for damages under the private law but in the broader sense of providing relief by an order of making 'monetary amends' under the public law for the wrong done due to breach of public duty, of not protecting the fundamental rights of the citizen." More recently in 2013, Justice P R Ramachandra Menon of the Kerala High Court had ordered compensation to a person convicted in a false case of attempt to culpable homicide. The aggrieved reportedly appealed on the basis the evidence didn’t support he had attempted to commit culpable homicide, and he was charged because he was “targeted by the police for opposing the insurance racket” his neighbor was involved in. After the appeal being rejected by the lower court, he applied to the High Court which in November 2013 ordered the chief secretary and director-general of police in Charamangalam, Alappuzha to file affidavits on the compensation to be paid to him. The right to compensation for wrongful convictions has been provided for in several international instruments. Article 14(6) of the International Covenant on Civil and Political Rights, for example, requires that states compensate wrongfully convicted individuals. Article 3 of the European Convention on Human Rights and Article 10 of the American Convention on Human Rights similarly require compensation. Under the ICCPR, State Parties may incorporating the article directly into domestic legislation to create a statutory right to compensation; conferring discretion to an administrative or judicial body to determine whether awards of compensation should be paid; or utilize the general power of domestic governments to make ex gratia payments. The victims in the state parties who have adopted the First Optional Protocol to the ICCPR have even been empowered to approach the UN Human Rights Committee when their right to compensation is not respected. UK has this right enshrined in under Setion 133 of the Criminal Justice Act. Read the Live Law story regarding the Supreme Court acquittal here.